Ninth Level (9th Level) is the recording label of THE PROPHET of Rock & Country Blues Rex Luciferius. Cross Roads is the critically acclaimed album of Rex Luciferius featuring some of the Prophecy Songs of Rex Luciferius that have been predicting where many recent loss of life events have been occurring. Pentagram of Blood is the Prophecy Song that controls the Pentagram of Blood for the USA. 7 Pentagrams is the the Prophecy Song about the 7 Global Pentagrams of Blood based on ancient solstice energy lines that connect most of the ancient megalithic monument sites in the world. Prophecy is a new album schedule for release this year as is the Legacy Album. Legend and Legend are two other recently released albums of Rex Luciferius. The Film Documentary LEGEND is based upon the life story ofRex Luciferius and how the FBI banned their music from airplay in the USA after the DC Sniper stuck as their song Virgin Mary Sacrifices had predicted. 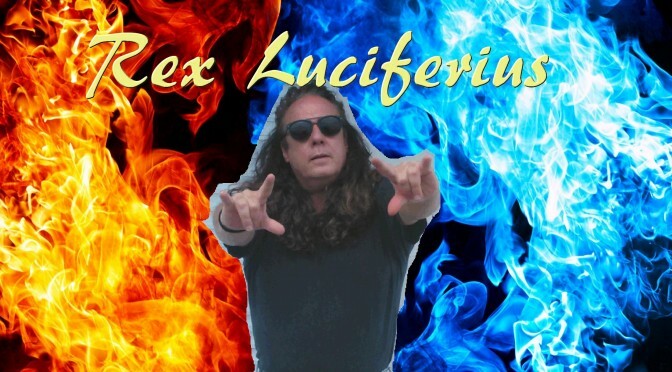 Rex Luciferius is a LIVING LEGEND in the world of music and his recent albums have put over 20 songs into the TOP 10 CHARTS on SoundCloud in 5 Genres of Music. Cross Roads had 5 of the TOP 10 Spots on iTunes New Release charts as well.